There are disturbing revelations in Kenya about the state of employment and how half of employees in various industries loathe the companies they work for. Many of the employees stick around just for the paycheck, but that is not the case for working with Safaricom Plc. According to the Global 2000: World’s Best Employers, a report published by Forbes, Safaricom Plc is the 67th best employer in the world. The report shows that in the Telecommunications Service, Safaricom reigns as one of the best employers among other telcos across the globe. In a list dominated by several industries including computer services, software and programming, computer hardware, broadcasting and cable among others, Safaricom beat the odds to lead in its sector. According to the ranking, Alphabet, a holding company dealing with the business of acquisition and operation of different companies that operates through Google and Other Bets segments held the first position. Microsoft, Apple, Walt Disney, and Amazon followed subsequently to make the top five. In between the first position and Safaricom’s position are myriad companies including conglomerates, airlines, casinos and gaming and auto and trucks manufacturing to name a few. 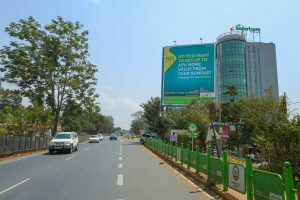 In Telecommunications services where only 9 companies made the list, Safaricom led the pack at position 67 followed by Advanced Info Service of Thailand at position 86, then Telkom Indonesia at number 112, Nippon Telegraph & Tel of Japan at position 200, China Communications Services at 337, América Móvil of Mexico at rank 338, Maxis of Malaysia at 464, followed by SingTel of Singapore at 492, closely followed by KDDI of Japan at 495. The ranking is based on Forbes partnership with research institutions that rate career opportunities, pride, culture, the pay package, diversity, among other aspects. In a country where the unemployment rate is still very high, other industries ought to stay awake all night and ponder where they went wrong. Statistics show that the Unemployment Rate in Kenya averaged 10.80 percent from 1991 until 2017, and it hit an all-time high of 12.20 percent in 2009 and a record low of 10 percent in 1997. Meanwhile, as this continues, the majority of the employees in Kenya hate the companies they work for. In fact, most of them endure in their positions just for the paycheck, which means if a new offer from a better employer like Safaricom, for instance, they won’t think twice about leaving. Companies nowadays focus on making profits and totally forgetting about the force that makes them achieve their goals; the employees. The reason Safaricom Plc is the best company to work for is because it has put in place various measures that have seen its workplace stand out. It supports mothers and the general staff. For example, should you decide to adopt a child, you are entitled to a two-month maternity leave. Even better, the company extended its maternity leave to include the non-natural parents as part of its employee-focused reforms. Moreover, among its reforms, Safaricom ensures that there is gender ratio balance which many companies cannot firmly boast about. By the end of 2017, 51 percent of Safaricom’s 5,085 employees were women, which means it has successfully achieved the 50:50 gender pay parity in the organization. Both male and female employees enjoy the same salaries for equal work done. Safaricom also offers secondment opportunities to its employees to enhance staff knowledge transfer and the expansion of experience to and from other markets within the telcos industry. Notably, the Forbes ranking gives insightful information for job seekers on which companies to join. Consequently, it serves as a perfect example for other companies in the country to emulate if they desire to be the best. How else would you grow if the employee isn’t happy?